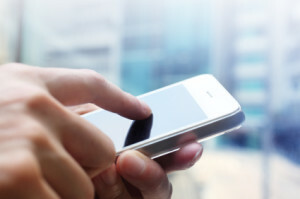 Ever consider organizing the contact list of your cell phone? First, make a list of categories (see below) with a corresponding letter for each category. A – Most called friends. B – Friends whom I don’t call on a regular basis. C – Clients and customers. H – Health (doctors, clinics, pharmacies). N – Networking numbers. Other small businesses I enjoy referring people to. R – Restaurants and takeout food. X – Otherwise known as the “X List”. Phone numbers that are important to have but I never call… or numbers I programmed in to warn me of certain people who call on occasion (like that pesky car salesman who doesn’t understand, no matter how many times I tell him, that I already bought a new car). Next, take the time to edit each contact in your cell phone. For example, “AEric”, “H Dr. Flemming”, “R Domino’s Pizza” etc. When you open your contact list to search for a name, you simply put the letter corresponding with the category.It’s important not to make too many categories, but a handful can make scrolling through your contact list a lot more efficient.If you’re familiar with Facebook it’s similar to the groups that you can create to add friends to in order to keep them organized. It does take time to edit the names on your cell phone, but in the long run it saves a lot of time! Let me know how it goes!